Look at this 2014 Jeep Patriot Latitude. Its Automatic transmission and Regular Unleaded I-4 2.4 L/144 engine will keep you going. This Jeep Patriot comes equipped with these options: WHEELS: 17 X 6.5 ALUMINUM (STD), TRANSMISSION: 6-SPEED AUTOMATIC -inc: Autostick Automatic Transmission, Tip Start (STD), TIRES: P215/60R17 BSW AS TOURING (STD), SMOKER'S GROUP -inc: Removable Ash Tray, Cigar Lighter, RADIO: UCONNECT 430 CD/DVD/MP3/HDD -inc: 6.5 Touch Screen Display, 40GB Hard Drive w/28GB Available, QUICK ORDER PACKAGE 2GB -inc: Engine: 2.4L I4 DOHC 16V Dual VVT, Transmission: 6-Speed Automatic, Remote Start System, ENGINE: 2.4L I4 DOHC 16V DUAL VVT (STD), DARK SLATE GRAY, PREMIUM CLOTH BUCKET SEATS, and BLACK CLEARCOAT. Test drive this vehicle at Cutter Chrysler Jeep Dodge Pearl City, 905 Kamehameha Hwy, Pearl City, HI 96782.Come see this 2014 Jeep Patriot Latitude. Its Automatic transmission and Regular Unleaded I-4 2.4 L/144 engine will keep you going. This Jeep Patriot features the following options: WHEELS: 17 X 6.5 ALUMINUM (STD), TRANSMISSION: 6-SPEED AUTOMATIC -inc: Autostick Automatic Transmission, Tip Start (STD), TIRES: P215/60R17 BSW AS TOURING (STD), SMOKER'S GROUP -inc: Removable Ash Tray, Cigar Lighter, RADIO: UCONNECT 430 CD/DVD/MP3/HDD -inc: 6.5 Touch Screen Display, 40GB Hard Drive w/28GB Available, QUICK ORDER PACKAGE 2GB -inc: Engine: 2.4L I4 DOHC 16V Dual VVT, Transmission: 6-Speed Automatic, Remote Start System, ENGINE: 2.4L I4 DOHC 16V DUAL VVT (STD), DARK SLATE GRAY, PREMIUM CLOTH BUCKET SEATS, and BLACK CLEARCOAT. See it for yourself at Cutter Chrysler Jeep Dodge Pearl City, 905 Kamehameha Hwy, Pearl City, HI 96782.To lock in posted internet pricing, customers must make an appointment through the Internet sales department. To make your appointment contact the Internet department today at 808-564-9900. Internet appointments come with hassle free negotiations. Come check out the better way to buy. Check out this 2015 Chrysler 200 S. Its Automatic transmission and Regular Unleaded V-6 3.6 L/220 engine will keep you going. This Chrysler 200 comes equipped with these options: WHEELS: 18 X 8.0 SATIN CARBON ALUMINUM (STD), VIVID BLUE PEARLCOAT, TRANSMISSION: 9-SPEED 9HP48 AUTOMATIC -inc: 3.251 Final Drive Ratio, TIRES: P235/45R18 BSW AS (STD), QUICK ORDER PACKAGE 26L -inc: Engine: 3.6L V6 24V VVT, Transmission: 9-Speed 9HP48 Automatic, MANUFACTURER'S STATEMENT OF ORIGIN, ENGINE: 3.6L V6 24V VVT -inc: Flex Fuel Vehicle, Anti-Lock 4-Wheel-Disc Brakes, COMFORT GROUP -inc: Heated Front Seats, Rear View Auto Dim Mirror w/Microphone, Rear A/C & Heat Ducts, Air Conditioning ATC w/Dual Zone Control, Sun Visors w/Illuminated Vanity Mirrors, Remote Start System, Heated Steering Wheel, ParkView Rear Back-Up Camera, Humidity Sensor, and BLACK, CLOTH W/LEATHER TRIMMED SPORT SEATS. Stop by and visit us at Cutter Chrysler Jeep Dodge Pearl City, 905 Kamehameha Hwy, Pearl City, HI 96782.Check out this 2015 Chrysler 200 S. Its Automatic transmission and Regular Unleaded V-6 3.6 L/220 engine will keep you going. This Chrysler 200 comes equipped with these options: WHEELS: 18 X 8.0 SATIN CARBON ALUMINUM (STD), VIVID BLUE PEARLCOAT, TRANSMISSION: 9-SPEED 9HP48 AUTOMATIC -inc: 3.251 Final Drive Ratio, TIRES: P235/45R18 BSW AS (STD), QUICK ORDER PACKAGE 26L -inc: Engine: 3.6L V6 24V VVT, Transmission: 9-Speed 9HP48 Automatic, MANUFACTURER'S STATEMENT OF ORIGIN, ENGINE: 3.6L V6 24V VVT -inc: Flex Fuel Vehicle, Anti-Lock 4-Wheel-Disc Brakes, COMFORT GROUP -inc: Heated Front Seats, Rear View Auto Dim Mirror w/Microphone, Rear A/C & Heat Ducts, Air Conditioning ATC w/Dual Zone Control, Sun Visors w/Illuminated Vanity Mirrors, Remote Start System, Heated Steering Wheel, ParkView Rear Back-Up Camera, Humidity Sensor, and BLACK, CLOTH W/LEATHER TRIMMED SPORT SEATS. Test drive this vehicle at Cutter Chrysler Jeep Dodge Pearl City, 905 Kamehameha Hwy, Pearl City, HI 96782.Check out this 2015 Chrysler 200 S. Its Automatic transmission and Regular Unleaded V-6 3.6 L/220 engine will keep you going. This Chrysler 200 comes equipped with these options: WHEELS: 18 X 8.0 SATIN CARBON ALUMINUM (STD), VIVID BLUE PEARLCOAT, TRANSMISSION: 9-SPEED 9HP48 AUTOMATIC -inc: 3.251 Final Drive Ratio, TIRES: P235/45R18 BSW AS (STD), QUICK ORDER PACKAGE 26L -inc: Engine: 3.6L V6 24V VVT, Transmission: 9-Speed 9HP48 Automatic, MANUFACTURER'S STATEMENT OF ORIGIN, ENGINE: 3.6L V6 24V VVT -inc: Flex Fuel Vehicle, Anti-Lock 4-Wheel-Disc Brakes, COMFORT GROUP -inc: Heated Front Seats, Rear View Auto Dim Mirror w/Microphone, Rear A/C & Heat Ducts, Air Conditioning ATC w/Dual Zone Control, Sun Visors w/Illuminated Vanity Mirrors, Remote Start System, Heated Steering Wheel, ParkView Rear Back-Up Camera, Humidity Sensor, and BLACK, CLOTH W/LEATHER TRIMMED SPORT SEATS. Test drive this vehicle at Cutter Chrysler Jeep Dodge Pearl City, 905 Kamehameha Hwy, Pearl City, HI 96782.Come see this 2015 Chrysler 200 S. Its Automatic transmission and Regular Unleaded V-6 3.6 L/220 engine will keep you going. This Chrysler 200 features the following options: WHEELS: 18 X 8.0 SATIN CARBON ALUMINUM (STD), VIVID BLUE PEARLCOAT, TRANSMISSION: 9-SPEED 9HP48 AUTOMATIC -inc: 3.251 Final Drive Ratio, TIRES: P235/45R18 BSW AS (STD), QUICK ORDER PACKAGE 26L -inc: Engine: 3.6L V6 24V VVT, Transmission: 9-Speed 9HP48 Automatic, MANUFACTURER'S STATEMENT OF ORIGIN, ENGINE: 3.6L V6 24V VVT -inc: Flex Fuel Vehicle, Anti-Lock 4-Wheel-Disc Brakes, COMFORT GROUP -inc: Heated Front Seats, Rear View Auto Dim Mirror w/Microphone, Rear A/C & Heat Ducts, Air Conditioning ATC w/Dual Zone Control, Sun Visors w/Illuminated Vanity Mirrors, Remote Start System, Heated Steering Wheel, ParkView Rear Back-Up Camera, Humidity Sensor, and BLACK, CLOTH W/LEATHER TRIMMED SPORT SEATS. Stop by and visit us at Cutter Chrysler Jeep Dodge Pearl City, 905 Kamehameha Hwy, Pearl City, HI 96782.Come see this 2015 Chrysler 200 S. Its Automatic transmission and Regular Unleaded V-6 3.6 L/220 engine will keep you going. This Chrysler 200 comes equipped with these options: WHEELS: 18 X 8.0 SATIN CARBON ALUMINUM (STD), VIVID BLUE PEARLCOAT, TRANSMISSION: 9-SPEED 9HP48 AUTOMATIC -inc: 3.251 Final Drive Ratio, TIRES: P235/45R18 BSW AS (STD), QUICK ORDER PACKAGE 26L -inc: Engine: 3.6L V6 24V VVT, Transmission: 9-Speed 9HP48 Automatic, MANUFACTURER'S STATEMENT OF ORIGIN, COMFORT GROUP -inc: Heated Front Seats, Rear View Auto Dim Mirror w/Microphone, Rear A/C & Heat Ducts, Air Conditioning ATC w/Dual Zone Control, Sun Visors w/Illuminated Vanity Mirrors, Remote Start System, Heated Steering Wheel, ParkView Rear Back-Up Camera, Humidity Sensor, BLACK, CLOTH W/LEATHER TRIMMED SPORT SEATS, Window Grid Antenna, and Voice Recorder. Stop by and visit us at Cutter Buick GMC Mazda Waipahu, 94-245 Farrington Highway, Waipahu, HI 96797.To lock in posted internet pricing, customers must make an appointment through the Internet sales department. To make your appointment contact the Internet department today at 808-564-9900. Internet appointments come with hassle free negotiations. Come check out the better way to buy. Look at this 2014 Dodge Charger SXT. Its Automatic transmission and Regular Unleaded V-6 3.6 L/220 engine will keep you going. This Dodge Charger features the following options: WHEELS: 18 X 7.5 ALUMINUM -inc: Tires: P235/55R18 BSW AS Performance, Rear Stabilizer Bar, Compact Spare Tire, TRANSMISSION: 8-SPEED AUTOMATIC (845RE) (STD), TIRES: P235/55R18 BSW AS PERFORMANCE, QUICK ORDER PACKAGE 28H SXT -inc: Engine: 3.6L V6 24V VVT, Transmission: 8-Speed Automatic (845RE), SXT Badge, MANUFACTURER'S STATEMENT OF ORIGIN, ENGINE: 3.6L V6 24V VVT (STD), BRIGHT WHITE CLEARCOAT, and BLACK, BASE CLOTH SEATS. See it for yourself at Cutter Chrysler Jeep Dodge Pearl City, 905 Kamehameha Hwy, Pearl City, HI 96782.To lock in posted internet pricing, customers must make an appointment through the Internet sales department. To make your appointment contact the Internet department today at 808-564-9900. Internet appointments come with hassle free negotiations. Come check out the better way to buy. Look at this 2015 Jeep Cherokee Sport. Its Automatic transmission and Regular Unleaded I-4 2.4 L/144 engine will keep you going. This Jeep Cherokee features the following options: WHEELS: 17 X 7 FULL FACE STEEL (STD), TRANSMISSION: 9-SPEED 948TE AUTOMATIC (STD), QUICK ORDER PACKAGE 21A -inc: Engine: 2.4L I4 PZEV M-AIR, Transmission: 9-Speed 948TE Automatic, ENGINE: 2.4L I4 PZEV M-AIR -inc: Tigershark, California Emissions, BRIGHT WHITE CLEARCOAT, and BLACK, CLOTH LOW-BACK BUCKET SEATS. Stop by and visit us at Cutter Chrysler Jeep Dodge Pearl City, 905 Kamehameha Hwy, Pearl City, HI 96782.Come see this 2015 Jeep Cherokee Sport. Its Automatic transmission and Regular Unleaded I-4 2.4 L/144 engine will keep you going. This Jeep Cherokee comes equipped with these options: WHEELS: 17 X 7 FULL FACE STEEL (STD), TRANSMISSION: 9-SPEED 948TE AUTOMATIC (STD), QUICK ORDER PACKAGE 21A -inc: Engine: 2.4L I4 PZEV M-AIR, Transmission: 9-Speed 948TE Automatic, ENGINE: 2.4L I4 PZEV M-AIR -inc: Tigershark, California Emissions, BRIGHT WHITE CLEARCOAT, and BLACK, CLOTH LOW-BACK BUCKET SEATS. See it for yourself at Cutter Chrysler Jeep Dodge Pearl City, 905 Kamehameha Hwy, Pearl City, HI 96782.To lock in posted internet pricing, customers must make an appointment through the Internet sales department. To make your appointment contact the Internet department today at 808-564-9900. Internet appointments come with hassle free negotiations. Come check out the better way to buy. Check out this 2013 Chrysler 300 300S. Its Automatic transmission and Gas/Ethanol V6 3.6L/220 engine will keep you going. This Chrysler 300 has the following options: UCONNECT TOUCH 8.4N -inc: AM/FM stereo w/CD/DVD/MP3 player, 8.4 touch screen display, Garmin GPS navigation, LUXURY GROUP -inc: pwr multifunction manual folding exterior mirrors w/reverse tilt-down function & memory, auto-dimming driver side exterior mirror, door sill scuff pads, driver & passenger lower LED lamps, front & rear map pockets w/LED lamps, heated/cooled front console cupholder, heated rear seats, heated steering wheel, pwr adjustable pedals w/memory, pwr backlight sunshade, driver seat memory, pwr tilt/telescoping steering column, radio memory, trunk mat, LIGHT GROUP -inc: adaptive bi-xenon HID headlamps, auto high beam headlamp control, auto headlamp leveling system, rear fog lamps, FLEX FUEL SYSTEM, DUAL-PANE PANORAMIC SUNROOF, BRIGHT WHITE, BLACK, LEATHER TRIMMED SPORT BUCKET SEATS, 8-SPEED AUTOMATIC TRANSMISSION, 3.6L V6 VVT ENGINE (STD), and 27G CUSTOMER PREFERRED ORDER SELECTION PKG -inc: 3.6L V6 engine, 8-speed auto trans. Test drive this vehicle at Cutter Chrysler Jeep Dodge Pearl City, 905 Kamehameha Hwy, Pearl City, HI 96782.To lock in posted internet pricing, customers must make an appointment through the Internet sales department. To make your appointment contact the Internet department today at 808-564-9900. Internet appointments come with hassle free negotiations. Come check out the better way to buy. Check out this 2014 Jeep Wrangler Sahara. Its Automatic transmission and Regular Unleaded V-6 3.6 L/220 engine will keep you going. This Jeep Wrangler comes equipped with these options: TRANSMISSION: 5-SPEED AUTOMATIC (W5A580) -inc: Hill Descent Control, Tip Start, REMOTE START SYSTEM, QUICK ORDER PACKAGE 24G -inc: Engine: 3.6L V6 24V VVT, Transmission: 5-Speed Automatic (W5A580), MOPAR PREMIUM CHROME GROUP -inc: Chrome Exterior Mirrors, Bright Grille, MOPAR CHROME EDITION GROUP -inc: MOPAR Chrome Exhaust Tip, MOPAR Chrome Taillamp Guards, Chrome Fuel Filler Door, MOPAR Chrome Tubular Side Steps, ENGINE: 3.6L V6 24V VVT (STD), CONNECTIVITY GROUP -inc: Vehicle Information Center, Tire Pressure Monitoring Display, BODY COLOR 3-PIECE HARD TOP -inc: If ordering without AEM (Dual Top Group), the black soft top will not be included, Rear Window Defroster, Delete Sunrider Soft Top, Freedom Panel Storage Bag, Rear Window Wiper/Washer, BLACK, LEATHER TRIMMED BUCKET SEATS -inc: Heated Front Seats, Front Seat Back Map Pockets, Driver Height Adjuster Seat, and BLACK CLEARCOAT. See it for yourself at Cutter Chrysler Jeep Dodge Pearl City, 905 Kamehameha Hwy, Pearl City, HI 96782.Check out this 2014 Jeep Wrangler Sahara. Its Automatic transmission and Regular Unleaded V-6 3.6 L/220 engine will keep you going. This Jeep Wrangler features the following options: TRANSMISSION: 5-SPEED AUTOMATIC (W5A580) -inc: Hill Descent Control, Tip Start, REMOTE START SYSTEM, QUICK ORDER PACKAGE 24G -inc: Engine: 3.6L V6 24V VVT, Transmission: 5-Speed Automatic (W5A580), MOPAR PREMIUM CHROME GROUP -inc: Chrome Exterior Mirrors, Bright Grille, MOPAR CHROME EDITION GROUP -inc: MOPAR Chrome Exhaust Tip, MOPAR Chrome Taillamp Guards, Chrome Fuel Filler Door, MOPAR Chrome Tubular Side Steps, ENGINE: 3.6L V6 24V VVT (STD), CONNECTIVITY GROUP -inc: Vehicle Information Center, Tire Pressure Monitoring Display, BODY COLOR 3-PIECE HARD TOP -inc: If ordering without AEM (Dual Top Group), the black soft top will not be included, Rear Window Defroster, Delete Sunrider Soft Top, Freedom Panel Storage Bag, Rear Window Wiper/Washer, BLACK, LEATHER TRIMMED BUCKET SEATS -inc: Heated Front Seats, Front Seat Back Map Pockets, Driver Height Adjuster Seat, and BLACK CLEARCOAT. See it for yourself at Cutter Chrysler Jeep Dodge Pearl City, 905 Kamehameha Hwy, Pearl City, HI 96782.To lock in posted internet pricing, customers must make an appointment through the Internet sales department. To make your appointment contact the Internet department today at 808-564-9900. Internet appointments come with hassle free negotiations. Come check out the better way to buy. Come see this 2018 Jeep Grand Cherokee Laredo E. Its Automatic transmission and Regular Unleaded V-6 3.6 L/220 engine will keep you going. This Jeep Grand Cherokee comes equipped with these options: TRANSMISSION: 8-SPEED AUTOMATIC (850RE) (STD), TIRES: P265/60R18 BSW AS LRR, SECURITY & CONVENIENCE GROUP -inc: Cargo Compartment Cover, Heated Front Seats, Universal Garage Door Opener, 115V Auxiliary Power Outlet, Remote Start System, Power Liftgate, Heated Steering Wheel, Security Alarm, RADIO: UCONNECT 4C NAV W/8.4 DISPLAY, QUICK ORDER PACKAGE 2BE LAREDO E -inc: Engine: 3.6L V6 24V VVT UPG I w/ESS, Transmission: 8-Speed Automatic (850RE), Power 4-Way Driver Lumbar Adjust, Bright Side Roof Rails, Power 8-Way Driver/Manual Passenger Seat, SiriusXM Satellite Radio, MANUFACTURER'S STATEMENT OF ORIGIN, FRONT LICENSE PLATE BRACKET, ENGINE: 3.6L V6 24V VVT UPG I W/ESS (STD), DIAMOND BLACK CRYSTAL PEARLCOAT, and CARGO COMPARTMENT COVER. Stop by and visit us at Cutter Chrysler Jeep Dodge Pearl City, 905 Kamehameha Hwy, Pearl City, HI 96782.Check out this 2018 Jeep Grand Cherokee Laredo E. Its Automatic transmission and Regular Unleaded V-6 3.6 L/220 engine will keep you going. This Jeep Grand Cherokee comes equipped with these options: TRANSMISSION: 8-SPEED AUTOMATIC (850RE) (STD), TIRES: P265/60R18 BSW AS LRR, SECURITY & CONVENIENCE GROUP -inc: Cargo Compartment Cover, Heated Front Seats, Universal Garage Door Opener, 115V Auxiliary Power Outlet, Remote Start System, Power Liftgate, Heated Steering Wheel, Security Alarm, RADIO: UCONNECT 4C NAV W/8.4 DISPLAY, QUICK ORDER PACKAGE 2BE LAREDO E -inc: Engine: 3.6L V6 24V VVT UPG I w/ESS, Transmission: 8-Speed Automatic (850RE), Power 4-Way Driver Lumbar Adjust, Bright Side Roof Rails, Power 8-Way Driver/Manual Passenger Seat, SiriusXM Satellite Radio, MANUFACTURER'S STATEMENT OF ORIGIN, FRONT LICENSE PLATE BRACKET, ENGINE: 3.6L V6 24V VVT UPG I W/ESS (STD), DIAMOND BLACK CRYSTAL PEARLCOAT, and CARGO COMPARTMENT COVER. See it for yourself at Cutter Chrysler Jeep Dodge Pearl City, 905 Kamehameha Hwy, Pearl City, HI 96782.To lock in posted internet pricing, customers must make an appointment through the Internet sales department. To make your appointment contact the Internet department today at 808-564-9900. Internet appointments come with hassle free negotiations. Come check out the better way to buy. Look at this 2017 Dodge Durango SXT. Its Automatic transmission and Regular Unleaded V-6 3.6 L/220 engine will keep you going. This Dodge Durango comes equipped with these options: WHEELS: 18 X 8.0 PAINTED ALUMINUM (STD), US DEALER RETAIL ORDER, TRANSMISSION: 8-SPEED AUTOMATIC (845RE) (STD), TRAILER TOW GROUP IV -inc: Rear Load Leveling Suspension, 7 & 4 Pin Wiring Harness, Class IV Receiver Hitch, Steel Spare Wheel, 180 Amp Alternator, Heavy Duty Engine Cooling, Full Size Spare Tire, TIRES: P265/60R18 BSW AS LRR -inc: Michelin Brand Tires, QUICK ORDER PACKAGE 23A -inc: Engine: 3.6L V6 24V VVT UPG I w/ESS, Transmission: 8-Speed Automatic (845RE), MANUFACTURER'S STATEMENT OF ORIGIN, ENGINE: 3.6L V6 24V VVT UPG I W/ESS (STD), BLU BY YOU PEARLCOAT, and BLACK, CLOTH LOW-BACK BUCKET SEATS. Test drive this vehicle at Cutter Chrysler Jeep Dodge Pearl City, 905 Kamehameha Hwy, Pearl City, HI 96782.To lock in posted internet pricing, customers must make an appointment through the Internet sales department. To make your appointment contact the Internet department today at 808-564-9900. Internet appointments come with hassle free negotiations. Come check out the better way to buy. Look at this 2016 Ram 1500 Big Horn. Its Automatic transmission and Regular Unleaded V-8 5.7 L/345 engine will keep you going. This Ram 1500 comes equipped with these options: WHEELS: 20 X 8 CHROME CLAD ALUMINUM (STD), TRANSMISSION: 8-SPEED AUTOMATIC (8HP70), TIRES: P275/60R20 BSW AS (STD), RADIO: UCONNECT 8.4 NAV -inc: SiriusXM Travel Link, 5-Year SiriusXM Travel Link Service, 5-Year SiriusXM Traffic Service, 1 Year Trial (Registration Required), Media Hub (SD, USB, AUX), HD Radio, For Details Visit DriveUconnect.com, GPS Navigation, Uconnect Access, 8.4 Touchscreen Display, Uconnect Access 1 Year Trial (Registration Req. ), SIRIUSXM Traffic, Remote SD Card Slot, QUICK ORDER PACKAGE 27S BIG HORN -inc: Engine: 5.7L V8 HEMI MDS VVT, Transmission: 8-Speed Automatic (8HP70), Dual Rear Exhaust w/Bright Tips, Full Size Temporary Use Spare Tire, LED Bed Lighting, Overhead Console w/Garage Door Opener, Universal Garage Door Opener, Steering Wheel Mounted Audio Controls, Sun Visors w/Illuminated Vanity Mirrors, Electroluminescent Instrument Cluster, Exterior Mirrors Courtesy Lamps, Glove Box Lamp, Underhood Lamp, Auto Dim Exterior Mirrors, Ash Tray Lamp, Exterior Mirrors w/Supplemental Signals, Rear Dome w/On/Off Switch Lamp, Leather Wrapped Steering Wheel, Rear View Auto Dim Mirror w/Microphone, Power Heated Fold-Away Mirrors, Power Folding Mirrors, Big Horn Regional Package, Big Horn Badge, Bright/Bright Billets Grille, Electric Shift On Demand Transfer Case, Remote Start System, Locking Lug Nuts, Security Alarm, Nav-Capable! See Dealer for Details, 6 Month Trial (Registration Required), Media Hub (SD, USB, AUX), Uconnect Access, 8.4 Touchscreen Dis, PROTECTION GROUP -inc: Transfer Case Skid Plate Shield, Front Suspension Skid Plate, Tow Hooks, MANUFACTURER'S STATEMENT OF ORIGIN, GVWR: 6,900 LBS, FRONT & REAR RUBBER FLOOR MATS, and ENGINE: 5.7L V8 HEMI MDS VVT -inc: Electronically Controlled Throttle, Hemi Badge, Next Generation Engine Controller, GVWR: 6,900 lbs, Heavy Duty Engine Cooling, Heavy Duty Transmission Oil Cooler. Test drive this vehicle at Cutter Chrysler Jeep Dodge Pearl City, 905 Kamehameha Hwy, Pearl City, HI 96782.To lock in posted internet pricing, customers must make an appointment through the Internet sales department. To make your appointment contact the Internet department today at 808-564-9900. Internet appointments come with hassle free negotiations. Come check out the better way to buy. Look at this 2015 Jeep Wrangler Unlimited Wrangler X. Its Automatic transmission and Regular Unleaded V-6 3.6 L/220 engine will keep you going. This Jeep Wrangler Unlimited features the following options: TRANSMISSION: 5-SPEED AUTOMATIC (W5A580) -inc: Hill Descent Control, Tip Start, REMOTE START SYSTEM, RADIO: UCONNECT 430N CD/DVD/MP3/HDD/NAV -inc: SIRIUSXM Travel Link, 5-Year SIRIUSXM Travel Link Service, 6.5 Touch Screen Display, GPS Navigation, 40GB Hard Drive w/28GB Available, Remote USB Port, QUICK ORDER PACKAGE 24X WRANGLER X -inc: Engine: 3.6L V6 24V VVT, Transmission: 5-Speed Automatic (W5A580), Wrangler X Package, Delete Sahara Badge, Goodyear Brand Tires, Body Color Grille w/Black Accents, Black Jeep Grille Badge, Wrangler X Package Decals, Chrome/Leather Wrapped Shift Knob, IP Grab Handle w/Wrangler X Graphic, Air Filtering, Humidity Sensor, Black/Chrome Screws Fuel Filler Door, Rock Rails, Black Rear Bumper, Black Front Bumper, Hood w/Power Dome, Low Gloss Black Small Wrangler Decal, FIRECRACKER RED CLEAR COAT, ENGINE: 3.6L V6 24V VVT (STD), CONNECTIVITY GROUP -inc: Uconnect Voice Command w/Bluetooth, Vehicle Information Center, Remote USB Port, Tire Pressure Monitoring Display, BLACK, LEATHER SEATS W/SPORT MESH INSERTS -inc: Driver Height Adjuster Seat, ANTI-SPIN DIFFERENTIAL REAR AXLE, and 3.21 REAR AXLE RATIO (STD). See it for yourself at Cutter Chrysler Jeep Dodge Pearl City, 905 Kamehameha Hwy, Pearl City, HI 96782.To lock in posted internet pricing, customers must make an appointment through the Internet sales department. To make your appointment contact the Internet department today at 808-564-9900. Internet appointments come with hassle free negotiations. Come check out the better way to buy. Come see this 2017 Jeep Wrangler Rubicon. Its Automatic transmission and Regular Unleaded V-6 3.6 L/220 engine will keep you going. This Jeep Wrangler comes equipped with these options: TRANSMISSION: 5-SPEED AUTOMATIC (W5A580) -inc: 3.73 Rear Axle Ratio, Hill Descent Control, Tip Start, REMOTE START SYSTEM, RADIO: 430 NAV -inc: SIRIUSXM Travel Link, 5-Year SIRIUSXM Travel Link Service, 6.5 Touchscreen Display, GPS Navigation, 40GB Hard Drive w/28GB Available, Remote USB Port, QUICK ORDER PACKAGE 24R -inc: Engine: 3.6L V6 24V VVT, Transmission: 5-Speed Automatic (W5A580), POWER CONVENIENCE GROUP -inc: Front 1-Touch Down Power Windows, Remote Keyless Entry, Power Heated Mirrors, Power Locks, Auto Dim Mirror w/Reading Lamp, Security Alarm, MANUFACTURER'S STATEMENT OF ORIGIN, GRANITE CRYSTAL METALLIC CLEARCOAT, FREEDOM TOP HARD TOP HEADLINER, ENGINE: 3.6L V6 24V VVT (STD), and CONNECTIVITY GROUP -inc: Uconnect Voice Command w/Bluetooth, Vehicle Information Center, Remote USB Port, Tire Pressure Monitoring Display. Test drive this vehicle at Cutter Chrysler Jeep Dodge Pearl City, 905 Kamehameha Hwy, Pearl City, HI 96782.To lock in posted internet pricing, customers must make an appointment through the Internet sales department. To make your appointment contact the Internet department today at 808-564-9900. Internet appointments come with hassle free negotiations. Come check out the better way to buy. Come see this 2018 Dodge Durango R/T. Its Automatic transmission and Regular Unleaded V-8 5.7 L/345 engine will keep you going. This Dodge Durango has the following options: WHEELS: 20 X 8.0 GLOSS BLACK ALUMINUM, TRANSMISSION: 8-SPEED AUTOMATIC (8HP70), TIRES: P265/50R20 BSW AS LRR (STD), TECHNOLOGY GROUP -inc: Lane Departure Warning Plus, Advanced Brake Assist, Full Speed Forward Collision Warning Plus, Adaptive Cruise Control w/Stop, Blind Spot & Cross Path Detection, RED/BLACK, LUX LEATHER TRIMMED BUCKET SEATS, QUICK ORDER PACKAGE 25S -inc: Engine: 5.7L V8 HEMI MDS VVT, Transmission: 8-Speed Automatic (8HP70), MANUFACTURER'S STATEMENT OF ORIGIN, GRANITE CLEARCOAT, FRONT LICENSE PLATE BRACKET, and ENGINE: 5.7L V8 HEMI MDS VVT (STD). See it for yourself at Cutter Chrysler Jeep Dodge Pearl City, 905 Kamehameha Hwy, Pearl City, HI 96782.To lock in posted internet pricing, customers must make an appointment through the Internet sales department. To make your appointment contact the Internet department today at 808-564-9900. Internet appointments come with hassle free negotiations. Come check out the better way to buy. Come see this 2014 Nissan Versa Note S Plus. Its Variable transmission and Regular Unleaded I-4 1.6 L/98 engine will keep you going. This Nissan Versa Note has the following options: MAGNETIC GRAY METALLIC, CHARCOAL, CLOTH SEAT TRIM, [L92] FLOOR & CARGO MATS (5-PIECE SET), [B94] REAR BUMPER PROTECTOR, and [B92] SPLASH GUARDS. Stop by and visit us at Cutter Chrysler Jeep Dodge Pearl City, 905 Kamehameha Hwy, Pearl City, HI 96782.Look at this 2014 Nissan Versa Note S Plus. Its Variable transmission and Regular Unleaded I-4 1.6 L/98 engine will keep you going. This Nissan Versa Note features the following options: MAGNETIC GRAY METALLIC, CHARCOAL, CLOTH SEAT TRIM, [L92] FLOOR & CARGO MATS (5-PIECE SET), [B94] REAR BUMPER PROTECTOR, and [B92] SPLASH GUARDS. See it for yourself at Cutter Chrysler Jeep Dodge Pearl City, 905 Kamehameha Hwy, Pearl City, HI 96782.To lock in posted internet pricing, customers must make an appointment through the Internet sales department. To make your appointment contact the Internet department today at 808-564-9900. Internet appointments come with hassle free negotiations. Come check out the better way to buy. Come see this 2010 Hyundai Santa Fe SE. Its Automatic transmission and Gas V6 3.5L/212 engine will keep you going. This Hyundai Santa Fe features the following options: STANDARD EQUIPMENT PKG 1 -inc: base vehicle only, GRAY, LEATHER BOLSTER W/CLOTH INSERTS SEAT TRIM, CARPETED FLOOR MATS, CARGO TRAY, and BLACK FOREST GREEN. Test drive this vehicle at Cutter Chrysler Jeep Dodge Pearl City, 905 Kamehameha Hwy, Pearl City, HI 96782.Come see this 2010 Hyundai Santa Fe SE. Its Automatic transmission and Gas V6 3.5L/212 engine will keep you going. This Hyundai Santa Fe comes equipped with these options: STANDARD EQUIPMENT PKG 1 -inc: base vehicle only, GRAY, LEATHER BOLSTER W/CLOTH INSERTS SEAT TRIM, CARPETED FLOOR MATS, CARGO TRAY, and BLACK FOREST GREEN. 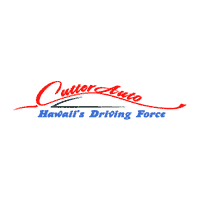 Stop by and visit us at Cutter Chrysler Jeep Dodge Pearl City, 905 Kamehameha Hwy, Pearl City, HI 96782.To lock in posted internet pricing, customers must make an appointment through the Internet sales department. To make your appointment contact the Internet department today at 808-564-9900. Internet appointments come with hassle free negotiations. Come check out the better way to buy. Look at this 2016 Nissan Sentra S. Its Variable transmission and Regular Unleaded I-4 1.8 L/110 engine will keep you going. This Nissan Sentra features the following options: GUN METALLIC, CHARCOAL, CLOTH SEAT TRIM, and [L92] CARPETED FLOOR MATS W/TRUNK MAT. See it for yourself at Cutter Chrysler Jeep Dodge Pearl City, 905 Kamehameha Hwy, Pearl City, HI 96782.To lock in posted internet pricing, customers must make an appointment through the Internet sales department. To make your appointment contact the Internet department today at 808-564-9900. Internet appointments come with hassle free negotiations. Come check out the better way to buy.